The Gr. 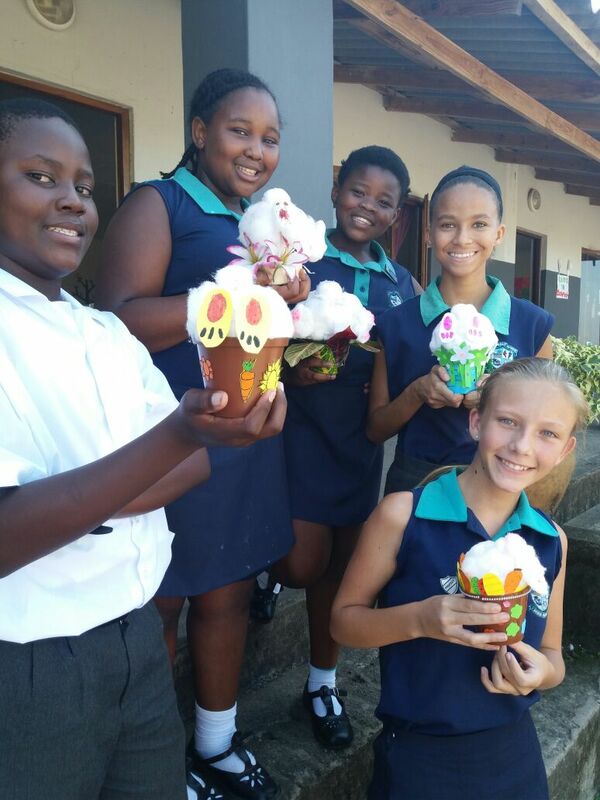 7 class had a lot of fun getting into the Easter sprit with their Arts and Culture project. Each learner made a bunny from cotton, digging in a flower pot looking for eggs. Sports practise is in full swing to get ready for the Winter sports Fun day which will be held on 3 June. Parents are invited to attend. UGU South Coast Tourism Gr. 12 excursion. South Coast Academy scaling the academic ladder.